Share an incredible gift and give someone the very best view over Melbourne. This Melbourne helicopter flight gift voucher takes them up to St. Kilda pier, across the coast and back to Moorabbin while the beautiful scenery of the region unfolds below. It's one of the best helicopter joy flights in the region, giving amazing views over the CBD, the Western Suburbs and the Docklands from over Albert Park Lake. They can sit back, relax and enjoy the views as the pilot gives you an outline of Melbourne's most popular hotspots. 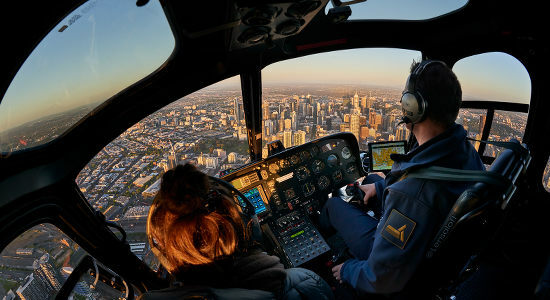 Departing from Moorabbin Airport, this Melbourne helicopter ride gives the best views and is an exhilarating adventure. Give one of the coolest experience gift vouchers in Australia from our online gift store. Beautiful scenery awaits as you are whisked by helicopter over the coastal region of Melbourne, over St Kilda Pier and back to Moorabbin at high speeds! 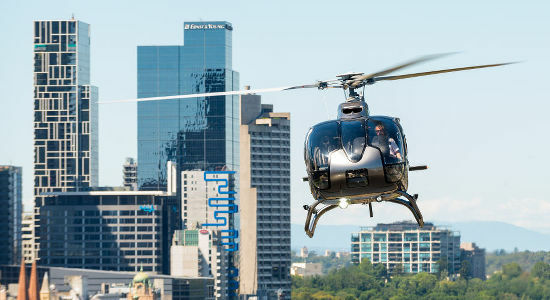 Fly over the Melbourne CBD's most popular landmarks and explore the city from a unique vantage point with this scenic helicopter flight! Gift Vouchers here.